Is this the new Galway jersey? Galway look to have a new jersey on the way. Pic via Galway Footballers Homepage on Facebook. 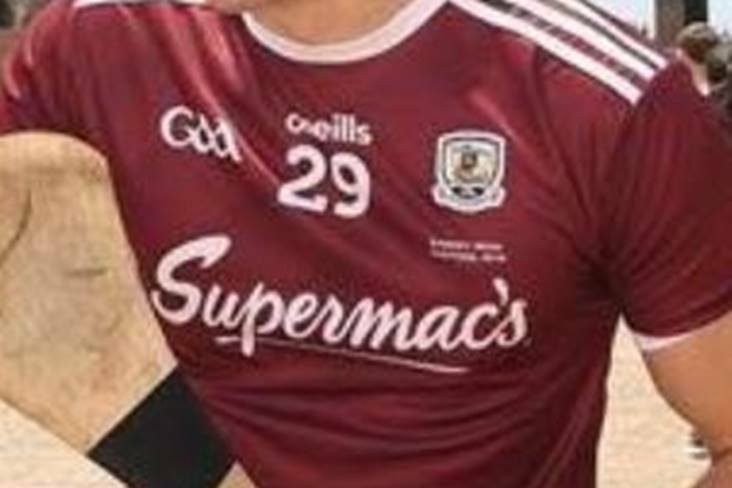 Gearoid McInerney may have unwittingly given supporters a peek at the new Galway jersey. The 2017 All-Ireland winning centre back was pictured in Sydney, where the Tribesmen will play Kilkenny for the inaugural Wild Geese Trophy this weekend, wearing what appears to be the county's new kit for the 2019 season. The most notable change from the current jersey is the white collar and the half-length three stripes on the sleeves. Last year, Galway unveiled a bold new camouflage away jersey which was well received with supporters.